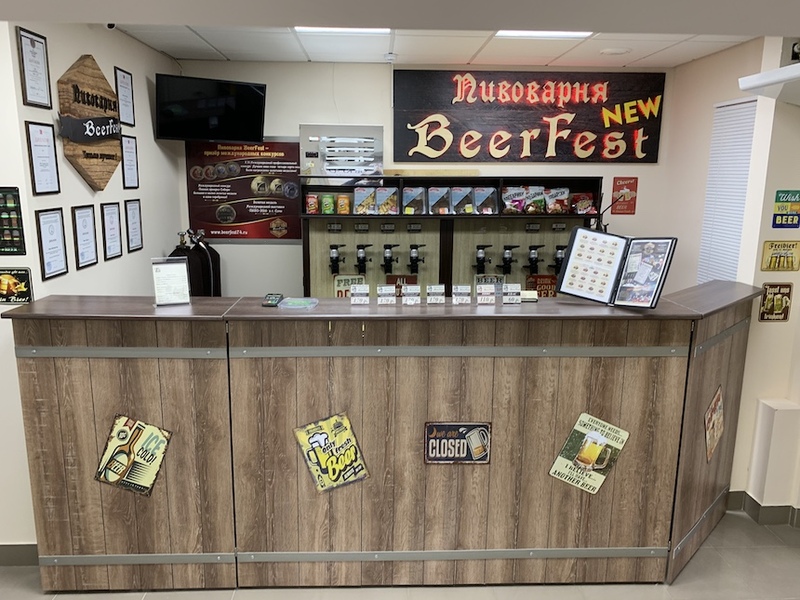 We are privately owned brewery, opened in 2014 and located in Kopeisk, Chelyabinsk region. If you are interested in trying high quality, unpasteurized, unfiltered beer, you now don’t have to wait until festive season and travel to Germany or Czech Republic as at BeerFest we produce wide variety of excellent sorts of beer, using German and Czech brewing technologies. 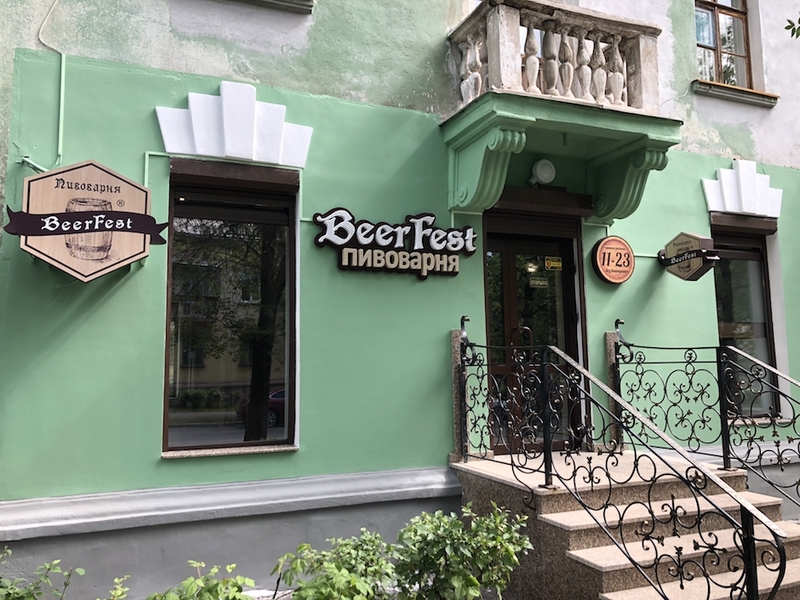 Our brewery and pub is conveniently located near town center of Kopeisk, ulitsa Kozhevnikova 16. The process of beer making at Beerfest is monitored by highly trained and knowledgeable technicians. We use malt, hop and yeast from leading European companies. Our beers have been acknowledged number of times at domestic and international exhibitions. Usually we have 6-8 styles of beer available from the list below and constantly experimenting with new styles. Classic light coloured beer with fresh taste and mild bitter note. If you are not sure what type of beer to choose, we recommend to start with this type. Light and fresh type – characterised by mixture of fresh and spicy notes. A kind of combination of classic light and classic wheat. Very refreshing beer made from Belgian malt. Light spicy hop taste and distinctive flowery aroma. New in our brewery! Amber in colour with rich aroma of Belgian and German malt with a delicate taste. If classic light beer is too soft for you, then this one will be a right one. Light exotic beer with distinct fresh cherry taste. Traditional Czech beer aroma, light in colour. Characterised by soft taste and higher hop bitterness. Classic Porter recipe with 2 months settlement in tanks. Well balanced taste of dark beer. Seasonal refreshing beer of light golden colour. Experienced as easy to drink with lighter alcohol impact and not too sweet. Very mild and pleasant hop aroma. Classic light beer of deep amber colour with rich aroma, pleasant hoppy bitter note with hint of caramel and very gentle aftertaste. Refreshing distinctive hop taste with flowery, citrus, mango and pine noes, somewhat bitter in aftertaste. Unfiltered beer with very soft and delicate sweet taste with higher yeast density. Dark amber in colour with beautiful aroma - contains hints of banana, caramel, flowers, wheat and spices. Light in colour made for real beer lovers. Brewed by classic recipe. Rich American hop aroma with fruity, citrus and pine tree notes. Full-bodied semi dark beer red-brownish in colour. Strong beer with pleasant taste and elegant aroma. Bavarian beer of longer aging, soft and delicate with dominant note of sweet malts. 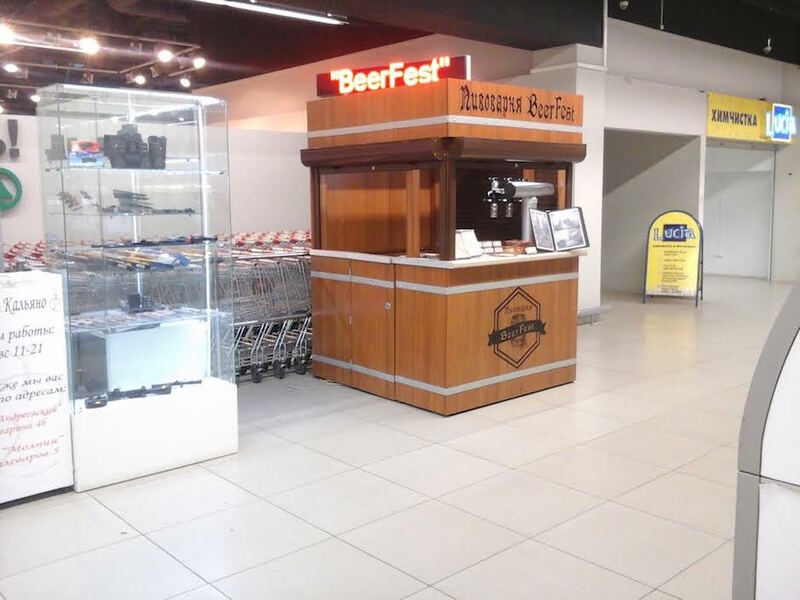 As at BeerFest there is a brewery and pub at the same location, every customer can try different types of freshly made beers from our generous menu in a welcoming atmosphere. Our pub is an excellent place to relax in a good company after hard day at work and to have a delicious drink brewed by German technologies. We also have wide variety of snacks and entrees that go well with our beers. Our doors are always opened for you and if you would like to watch a sport game with your mates please book a table in advance. Imagine watching your favourite game and having a glass of freshly made beer of your choice – we guarantee that you will leave only with positive emotions as for us brewing of beer is not just a routine but a process that we approach with love and creativity! Pub’s opening hours: 11am-11pm every day. Pub capacity is up for 30 people. To book a table please call: +7 (351) 771-88-03. Kopeisk, ulitsa Kozhevnikova 16 (Brewery and pub). Ph. +7 (35139) 999-89, +7 (351) 771-88-03. Chelyabinsk, ulitsa Bratyev Kashirinyh 131a. “BeerFest” shop. Ph. +7 (351) 216-42-92. Chelyabinsk, ulitsa Darvina 18. In front of “Spar” shop. Ph. +7 (351) 231-37-28. 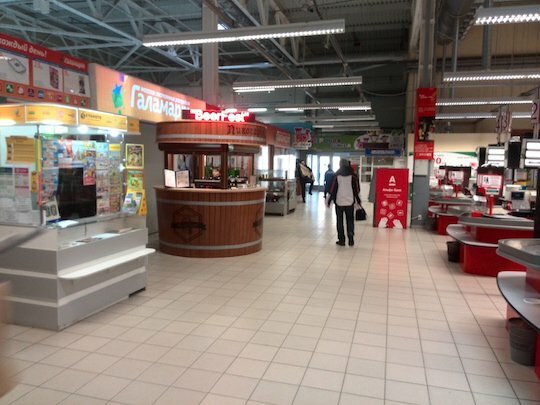 Chelyabinsk, ulitsa Bazhova 91a, “Spar” shop. Ph. +7 (351) 776-42-82. Chelyabinsk, Komsomolsky prospekt 113. 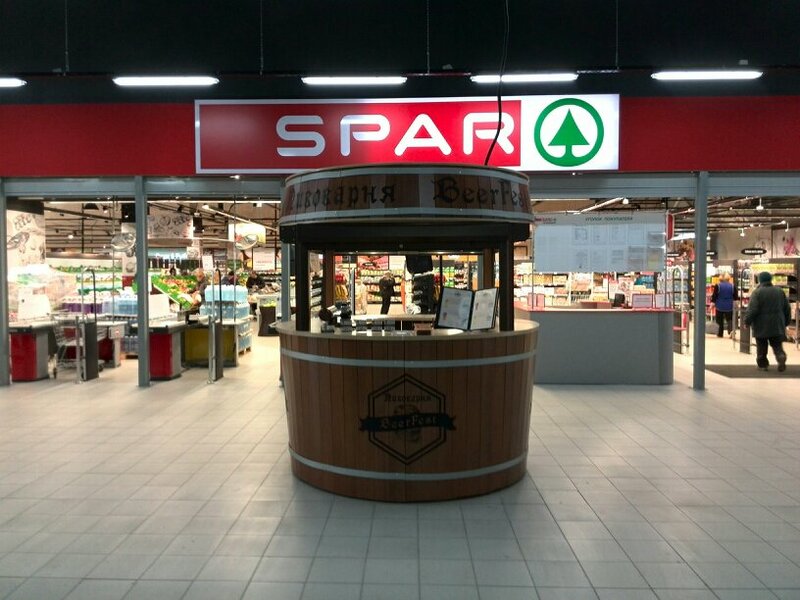 Supermarket “Spar”. Ph. +7 (351) 776-10-72.